Johann and his troops take on an easy assignment destroying a monster. But things go bad when the civilians protecting it fight back and the Bureau agents turn against Johann, leading to a traumatic turning point in the ghost agent?s career. This volume collects B.P.R.D. 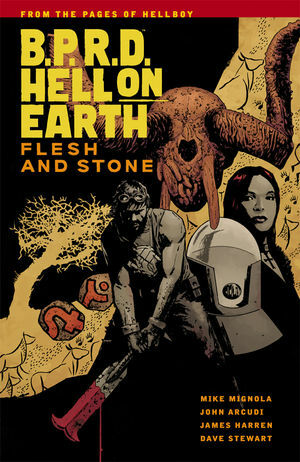 Hell on Earth #130?#134.